Hello everyone! I know this is slightly late, but it took me a little longer this month getting all these products tried and tested. 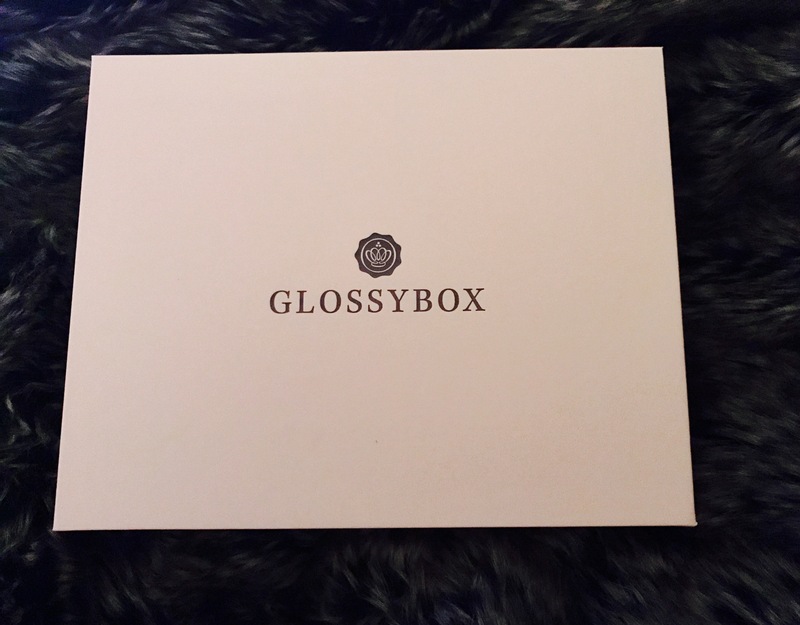 Today we’re looking at the October edition of Glossybox! This was actually my first ever Glossybox but it definitely won’t be last. First impressions were fantastic! Not only is Glossybox a way to try new products and brands you may not have tried/known of before, but it’s a massive money saver. I calculated that I received around £47 worth of products and the box costs an amazing £10!! You cannot go wrong with that. There may be a product in it sometimes that’s not to your fancy, but gift that onwards. The other products will still pay for themselves. 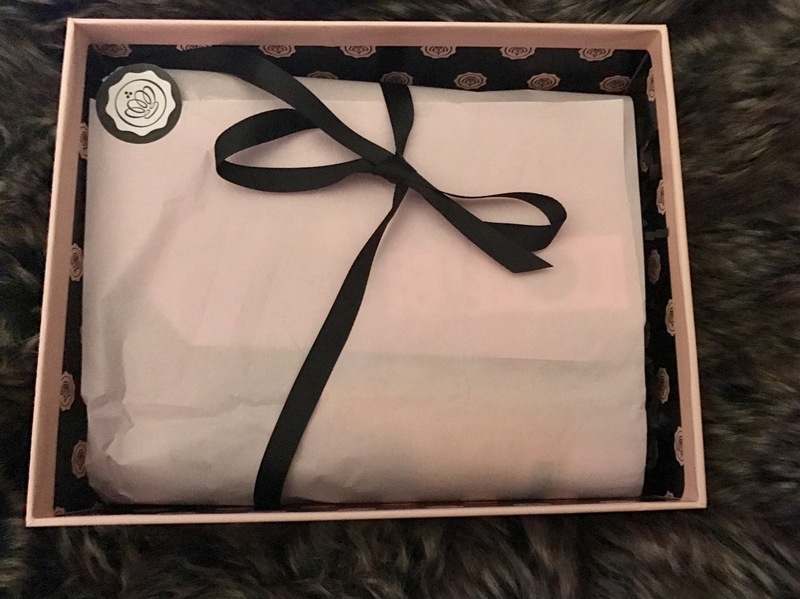 So when I first opened the Glossybox, I was amazed at how gorgeous and sleek the packaging is. It’s really sturdy and professional looking. Next, I was further impressed by the inside. (Quick note, I opened it before taking pics so I tried to redo it but my skills are not that good!) The bow and tissue paper are just so cute and add that little bit extra. I was honestly shocked by the sizes of all the items given. Four of the five provided were full sized and then I also got the secret shampoo to test out. The first item I picked out was the shampoo, the packaging attracted me because it didn’t have a brand. Basically the idea behind this was that you got the chance to test a product without any preconceived bias or anything due to the brand or name attached. I was really excited to give this a go because I love mystery products. It smelled gorgeous and there was enough product in it to last me about 5/6 washes (I still have it). 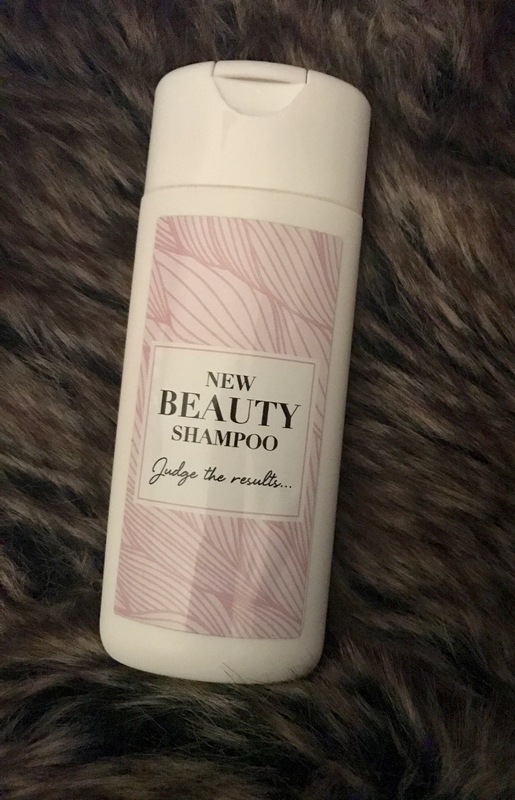 I really enjoyed this shampoo. I curently use the Aussie shampoo which is quite expensive but the only shampoo that will keep my hair clean for any length of time. I’m unfortunate enough to need to wash my hair every single day. I found this shampoo did last, but I was reaching for the dry shampoo in the evening. The lather was nice and easy to work with. Estee LaLonde announced earlier this month that the mystery product was in fact Head and Shoulders shampoo. They’ve just had an update. The full sized product is £2.99. This came in full sized and is actually from Primark’s beauty range. I quite like the packaging, it makes it look a lot more expensive than it is. This is actually only £3 in Primark! In terms of the mascara, I think it’s pretty good for the price you’re paying. The rubber mascara wand is something I haven’t tried before, although the bristles aren’t very long. I did find this separated my lashes quite well but if you’re not careful it can be a little clumpy. I still used my regular mascara over this because I struggled to get the definition/curl I wanted, but I guess with eyelash curlers you might be able to achieve this look with just this mascara. Again, this is another full sized product. The packaging for this product is absolutely gorgeous and definitely catches the eye. This product states that it’s suitable for all skin types and exfoliates, hydrates and calms the skin. I have oily combination skin, it’s oily around my T-zone, some dry patches around the rest of my skin. The full size of this is £10.50, so it’s an absolute steal to get this in the box! The entire company ethos is amazing for this product. 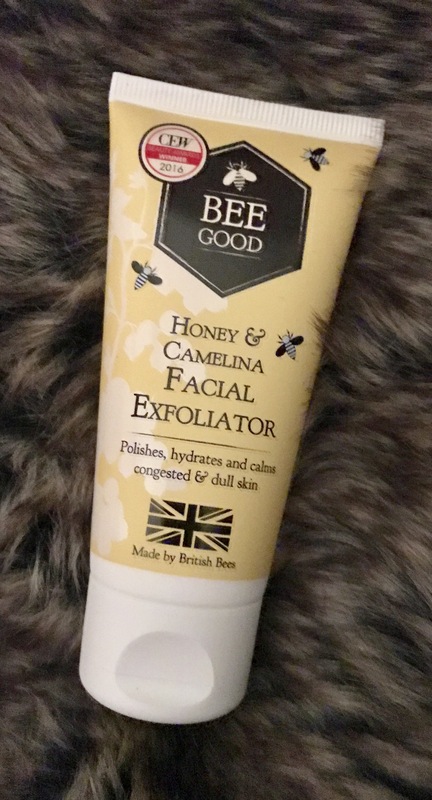 They exclusively use British beeswax, honey and propolis in all of their products, so you can rest assured it’s nice and natural. There are no harmful microbeads in the product which is always a bonus too. This product smells amazing! I also found it worked really well and my skin felt amazing afterwards, it glowed for quite a few days. I usually get some flaky skin around my nose which can be hard to combat as it’s also my oiliest area. I found this cleared this up completely and felt amazing on the skin. My skin felt so soft and was not irritated at all. This is quite an interesting product, the idea behind it being that you can use it as both a blusher and a lip stain. I received this in the colour ’04 Nectar’. This product is £15 full size. The company is both vegan and cruelty free, which I know is extremely important for some beauty users. The packaging of this one is really pretty and the applicator is pretty interesting. I like the plastic top over the actual product, I know sometimes I can be a bit clumsy and not put the lid on properly and take half the product off with it! This is really smooth and creamy. I did try it as a blush, it’s quite pigmented so you need to be careful with how much you apply and because it is quite thick/creamy, it did take a bit more work to blend it in. Personally I wouldn’t use this as a blush, but that’s just myself. As a lip cream it was fab and stayed on my lips for a long time, even after eating. It didn’t feel too uncomfortable and was quite hydrating. This was quite a cute little bottle and something I was really interested in trying. I had actually looked this up before in The Body Shop but hadn’t purchased due to the price and not being sure how it would work with my skin, so it was perfect that I got this in the box. This is £25 for 30ml, so my 7ml sample is worth around £5.83. This is also a cruelty free product as are all Body Shop products. 99% of the ingredients are of natural origin, it’s certified organic and helps to combat the first signs of ageing. I absolutely loved this product and I will be purchasing more of it when I run out of this little sample. You only use 2-3 drop a time so it lasts quite a while. I was concerned because of the condition of my skin, but it really worked well with my skin and didn’t have any bad effects at all. It sunk into my skin instantly, didn’t leave any lasting residue or oiliness. You apply your usual moisturiser or skin care routine after this and I just have to say I’m really impressed. I can definitely justify the money on this now that I know it works. I found the packaging on this really cute and different. The full size of this product is actually £12.95 and it was a full size product received. The packaging is actually really strong cardboard rather than plastic, which I don’t mind as it’s pretty easily recycled upon finishing. Unfortunately the product I received was damaged and broken, but I emailed Glossybox and they straight away sent me out another one with someone else in the package to say sorry! Amazing customer service. This company is also cruelty free, vegan and the lipstick is infused with Vitamin E.
This is extremely creamy when it goes on, it feels so much like a lip balm. It does dry to be matte, but it’s not completely dry and still really comfortable to wear. It does transfer slightly but it stays on quite well and doesn’t smudge, so there wouldn’t be a huge need for a lip liner. I was incredibly impressed with the formula of this lipstick. Although it’s not the colour for me, I’m glad I got to try this out and I might actually purchase this in another colour when the store has them back in stock. NOTE: This did not come with my original Glossybox. However, when I mentioned that the lipstick above was broken, they sent me a new one with this as a thank you. This product is awesome so I wanted to include this. This is a cream that can be used as both a lip product and a cheek cream, a similar idea to the duo above. The company is also cruelty free and this product is worth £9.95. First of all, this product smells INCREDIBLE. Definitely the best selling product out of all the ones I got. It is extremely pigmented, a really small amount goes a really long way. The amount I put on my hand was the smallest little dab from the lid! It’s incredibly creamy, even after it had dried on my hand it felt creamy to touch. It does transfer however, but it doesn’t move. It definitely stains which is really good! Again, I wouldn’t use this as a cheek product, I feel the product is a little too thick to work with but I would definitely use this as a lip stain/product. So all in all, I received around £48 worth of products from Glossybox for a staggering £10! If you’re interested in more information or signing up, please follow this link. I can definitely see myself getting Glossybox for a long time, I’m really impressed.